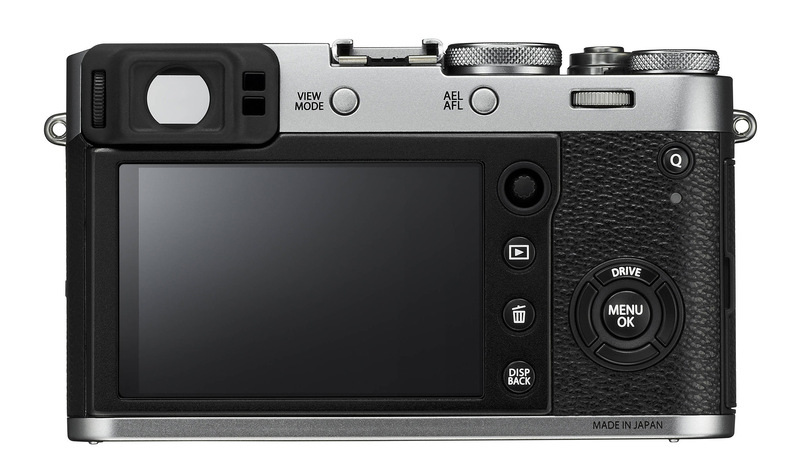 The X100F has a high number of customizable function buttons, as well as several different dials across the camera that all do different things. It is easy for someone who comes across this camera for the first time to be a bit confused by all the options. So, I’ll go through some of the most important buttons and other controls on the X100F here. Button within the red switch: Customizable. I set it to “Focus Check” so I can magnify my focus point when in single-servo or manual focus mode. Focus ring on the lens: In manual autofocus mode, it changes focus. In single-servo autofocus, it also changes focus, but only after you’ve already acquired focus automatically (and only when your AF+MF setting is turned on in the AF/MF menu). In continuous servo autofocus mode, it doesn’t do anything. Note that the focusing ring also can be programmed to change things like white balance or film simulation, but I leave those options off because none of them are very useful for taking RAW photos. Front command dial: Can control certain settings depending upon how you’ve set up the X100F. For example, in the Set Up Menu, set “ISO Dial Setting (A)” to “Command,” and you can use this command dial to change your ISO settings any time you have the top ISO dial set to A (auto). Shutter Speed Setting Dial: By rotating the large dial on top of the X100F (the one with B, T, 1, 2, 4, and so on) you can change your shutter speed. Set it to “T” and use the rear command dial if you prefer adjusting shutter speed that way. ISO Setting Dial: Pull up on the shutter speed setting dial, then rotate to change your ISO. I find that this takes some getting used to, and you may prefer to set ISO via the front command dial (as mentioned above, by changing “ISO Dial Setting” to “Command” in the X100F’s Set Up menu, then setting ISO to “A” on the dial). Fn button: You can customize this to set almost anything, as determined by the “Function (Fn) Setting” options in the Set Up menu (under the Button/Dial Setting header). View mode: Changes how the viewfinder works. You can disable the viewfinder entirely, or enable it exclusively (disabling the rear LCD). You can also set it to detect your eye, switching between the rear LCD and the viewfinder when you look through the viewfinder, or disabling the rear LCD entirely and only turning on the viewfinder when you look through it. I prefer “Eye Sensor,” which leaves the rear LCD enabled and only turns on the viewfinder when it senses your eye. AEL/AFL: This button can be programmed under “Function (Fn) Setting” in the Set Up menu. By default, holding it down locks exposure and focus. I prefer changing it to AF Lock so that you can use it to autofocus without locking exposure. I also change another menu option – AE/AF-L Lock Mode – to On/Off Switch. That way, simply pressing the AEL/AFL button (not holding it down) locks autofocus. Q button: Pops up a quick menu where you can change some common settings. You can adjust your personal Q menu in the “Edit/Save Quick Menu” setting in the X100F’s Set Up menu. Joystick: This is how you move autofocus points. Press in the joystick and rotate the rear command dial to change the size of your autofocus zone. M: Manual focus, although you can still press the AEL/AFL button to autofocus – but you can’t track a subject across the frame when focusing this way. If you have assigned “Focus Check” to a certain button in the Set Up menu, or enabled the dedicated “Focus Check” option in the AF/MF menu, autofocusing in M mode will magnify your LCD screen or electronic viewfinder view. C: Continuous servo autofocus, where the X100F focuses continually when you hold down the shutter button and doesn’t stop (unless you press the AEL/AFL button and lock focus). This mode is more prone to errors than single servo autofocus, but it can be necessary when you’re shooting a moving subject. “Focus Check” doesn’t work in continuous servo autofocus mode, and neither does manual focus. S: Single servo autofocus, where the X100F focuses once and locks down after it has acquired focus. This is the most accurate way to focus with the X100F, but it only works when you have a nonmoving subject. After autofocus has locked on in this mode, you can spin the focusing ring or press your assigned Focus Check function button to magnify your focus point and adjust slightly as needed. This is the mode I tend to use with the X100F. Here, I’ll explain every one of the Fuji X100F menu settings and give my personal recommendation for how to set it optimally. Please keep in mind that these recommendations are not a one-size-fits-all answer. It’s intended to set you on the right path, but there is a reason why Fuji has so many options here – everyone’s needs are different. So, feel free to take these as a starting point, but don’t be afraid to pick different settings for yourself as needed. Long Exposure Noise Reduction: For long exposures eight seconds or longer, the camera will take two photos: one of the actual scene, and another with the shutter curtain closed that is simply a “dark frame.” The dark frame will still have some noise and hot pixels, though, which the X100F then subtracts from the actual photo, giving a result with less noise. Turn it on if you don’t mind waiting twice as long for long exposure photos to capture, and turn it off if you’re willing to accept some extra noise in exchange for a faster capture process. Pixel Mapping: Tells the X100F to read its own sensor for hot pixels in order to subtract them from photos (including RAW). It’s worth doing this from time to time, especially if you start seeing new hot pixels appear in your images. Edit/Save Custom Setting: Allows you to create combinations of JPEG-only settings, such as sharpness, noise reduction, dynamic range, and so on, to form a particular look. You don’t need to create these unless you are shooting JPEG, or you want to affect how the in-camera preview of images appear when you review them. Focus Area: Shows all focus points and lets you select yours, akin to pressing in the joystick. Turn the rear dial to change the size of your focusing zone. AF Mode: Single Point, since it gives you the finest control for focusing in most cases. If you want to track subjects across the entire frame, it is best to use Wide/Tracking and then enable continuous autofocus via the switch on the left of the camera. To track subjects across a smaller portion of the frame, but not just a single point, use Zone and change its size to suit your needs by pressing in the joystick and then turning the rear dial to change the size of your focusing zone. AF Point Display: This only matters when you are in Zone or Wide/Tracking AF Modes, not Single Point. It simply shows your focusing points, which some photographers will find helpful and others distracting. I leave it off. Number of Focus Points: 325 (only available in Single Point) since it gives you the most control. Some prefer 95 simply because you can switch between them faster, since fewer are available. Pre-AF: This is continuous autofocus, prior to taking the photo, on the point you select. Its goal is not to track your subject, but to make it faster to autofocus when you actually want to capture a photo, since your focusing is already close to optimal. However, it can be quite spastic and distracting, so I tend to leave it off. AF Illuminator: On, shines a light to help focus on nearby objects in dark environments. Can be annoying if you are photographing people, so you may want to turn it off. Face/Eye Detection Settings: Depends upon your subject, but you have plenty of options here. I tend to leave mine at Face On/Eye Auto, which detects and focuses on the person’s face and the nearest eye. If you want special control to only focus on the left or right eye, this is where you would do so. MF Assist: This one is down to personal preference in terms of which visual aids you prefer when focusing manually. Personally, I tend to leave it either at standard (which does nothing additional to help when you are manually focusing) but sometimes choose Focus Peak Highlight with Red High in order to emphasize the exact parts of the subject that are the sharpest. Focus Check: This is only used when you are in manual focus mode (accessed via the switch on the side of the camera) or single-servo autofocus and have already focused. When on, this magnifies your focusing area to make it easier to focus manually each time you turn the lens’s focusing ring. I almost always leave it on, because otherwise it can be difficult to tell which areas of the photo are as sharp as possible, even with something like focus peaking enabled. Interlock Spot AE & Focus Area: On, since it means that your metering system (when using spot metering) bases its reading upon the focus point, not a small point in the center of your frame. Instant AF Setting: Even when you are in manual focus mode on the X100F, you will have the ability to autofocus by pressing the AEL AFL button. This setting controls whether you want to focus continuously as you hold down the button, or just once. I almost always keep it on AF-S for single-servo autofocus, but if I am trying to track a moving subject, I occasionally switch to AF-C.
Depth-of-Field Scale: When a focus indicator is displayed, either with the depth of field preview button or one of the cycles of the DISP button, this option changes what the X100F tells you is “in focus.” I recommend selecting Pixel Basis because it is more stringent. Film Basis can be too relaxed about what counts as in focus versus not in focus. AF-S Priority Selection: Release. I prefer to have the camera take a photo when I click the shutter. Some will prefer this option to be “Focus” to make sure the X100F believes it is focused properly before it allows you to take a photo. Corrected AF Frame: If you are in one of the modes with the electronic viewfinder, you can flip the red tab on the front of the X100F to switch between EVF (electronic viewfinder) and OVF (optical viewfinder) with a display overlay. When you are looking at the OVF with a display overlay, and you are focusing closely, enabling “Corrected AF Frame” will show a display of the more accurate autofocus points (considering viewfinder parallax). Interval Timer Shooting: For taking timelapses. It lets you select the interval between shots and the total number of photos. Photometry: This is to adjust metering settings. I almost always leave it on Multi, but occasionally use Spot if the X100F is consistently under- or over-exposing my subject. Note that if you have face detection turned on, all Photometry options will be grayed out. Shutter Type: Mechanical + Electronic. The camera takes photos with the mechanical leaf shutter until your shutter speed is too fast for that to be possible (faster than 1/4000 second), beyond which the X100F switches to electronic shutter. Using solely the electronic shutter can result in a jello-like distortion effect when capturing moving objects. ISO Auto Setting: Lets you adjust the behavior of Auto ISO. This is an important setting, and the X100F gives you the ability to set up to three different Auto ISO defaults that you can select depending upon the occasion. “Default Sensitivity” is the ISO that the X100F will attempt to use. It will only use a higher ISO if your scene is dark enough that your shutter speed has reached the “Min Shutter Speed” value you set. “Max Sensitivity” is the highest ISO value that the X100F will use, no matter what. If you’re taking pictures in such a dark scene that your Max Sensitivity and Min Shutter Speed values have already been reached, the X100F will use longer shutter speeds rather than increase ISO any further. Conversion Lens: This setting is only for cases when you are using the TCL-X100 teleconverter or WCL-X100 wide-angle converter with the X100F. Digital Tele-Conv. : Automatically crops your photos, either for a 41mm or 58mm equivalent view. Keep it turned off. Only available when shooting JPEG. ND Filter: Enables the built-in ND filter on the X100F. Not recommended unless you are shooting a long exposure on a tripod and need a longer shutter speed, or want to shoot with a wide aperture (and potentially flash) in particularly bright environments. Flash Function Setting: Main flash control. Off when you don’t need flash, typically TTL when you do (through-the-lens automatic flash). Sync: Fire the flash at the beginning of your exposure (1st Curtain) or at the end (2nd Curtain). When photographing moving objects, you generally will want to change Sync Mode to be 2nd Curtain to capture the motion of the subject before the flash properly – the blur leading into a sharp subject. TTL-Lock Mode: TTL Lock gives you a consistent flash exposure across several images when enabled (which must be done via a custom function button you assign). This chooses whether the exposure is locked at the prior metered exposure or by metering via a set of pre-flashes. LED Light Setting: Lets you use the video light on your flash to act as a focus assist beam and/or a catchlight. Keep it off unless you have a need for either of those features. Grayed out except with external flash. Master Setting: Choose a flash group for a hotshoe-mounted flash, or turn it off and light the photo entirely with off-camera flash. Grayed out unless using external flash. HDMI Output Info Display: Off, or On if you want HDMI devices connected to the X100F to match the camera’s info display. Reset: Lets you reset all Shooting menu or Set Up menu settings. Shutter Volume: Off if you want only noises from the mechanical shutter. For 100% silent operation, turn this off and enable electronic shutter only (from “Shutter Type” under the Shooting Setting menu). If it’s disconcerting to hear no noise at all while taking pictures with the electronic shutter, such as when looking through the optical viewfinder, turn the volume to low. Shutter Sound: I prefer the first sound because I find it to be the most realistic. Playback Volume: For playing back movies. I tend to leave it at 7 or so. Image Disp: How long your photo pops up on the rear screen or electronic viewfinder after capture. Set it to “Off” if you don’t want any display at all, and 0.5, 1.5, or Continuous if you want some length of post-capture image display. EVF Autorotate Displays: Whether or not the EVF information display rotates as you change camera orientation. I leave it On. Preview Exposure/White Balance in Manual Mode: Preview EXP/WB, so that you see a preview on the rear LCD and EVF of how bright the photo will be after taking it. Only relevant when aperture, shutter speed, and ISO are all set manually. Preview Pic Effect: On. Displays on the rear LCD and EVF the JPEG-only settings that you chose in the Image Quality menu. This way, you can choose specific JPEG settings (say, Fuji Velvia simulation) and see that preview in live view even though you are shooting RAW and that setting doesn’t affect the RAW photo. This can be useful for imagining how your final edited image will appear. Autorotate PB: Off. This one is important; left On, your vertical photos will automatically rotate during image review, taking up a smaller portion of the LCD. When Off, you can just rotate the camera to review vertical photos more effectively. Disp. Custom Setting: Choose the information displayed in the optical viewfinder and the EVF/rear LCD. There are a lot of options here, and it’s all personal preference, but I recommend turning off anything that is unnecessary for your work simply to eliminate distractions. Large Indicators Mode (EVF/OVF): Increase the size of information displayed in the viewfinder (both OVF and EVF). Large Indicators Mode (LCD): Increase the size of information displayed on the rear LCD. Large Indicators Display Setting: Pick which settings and icons will be increased in size when you have Large Indicators Mode turned on. Focus Lever Setting: Affects whether moving the joystick changes autofocus points. When set to Lock, you can’t move autofocus points with the joystick at all. Set to “Push Joystick to Unlock,” you can only start moving your autofocus points when you push in the joystick once. Set to On, you move autofocus points any time you move the joystick. I keep it On. Edit/Save Quick Menu: A very useful option to adjust the layout and content of the Quick Menu (accessed by pressing the Q button). Change this to suit your shooting style and most frequently accessed controls. Function (Fn) Setting: Lets you assign custom functions to the five FN buttons, as well as the AEL/AFL button and the rear dial. This is down to personal preference, but it is a good way to access settings you use all the time without entering a menu. I recommend at least setting one of the buttons to ISO Auto Setting, and another to AF Lock (letting it function akin to an AF-On button, which the X100F doesn’t have, so that you can focus via the AEL/AFL button instead of just half-pressing the shutter button). ISO Dial Setting (A): Command, which switches all ISO adjustments to the front command dial any time “A” is selected on the top ISO dial. This is useful because you can manually select any ISO or one of the ISO Auto Setting options you created earlier (just spin the front command dial all the way to the end). It gives you more flexibility than Auto, which only allows you to select one of the Auto Settings you created earlier. Focus Ring: The direction you rotate the focus ring, as viewed from behind the camera, to focus toward infinity. This is another personal preference; I was raised a Nikon shooter, so I prefer clockwise. Control Ring Setting: Off. None of the options they have are particularly useful for RAW photography, although if you find them valuable, you can adjust one of these settings by rotating the focusing ring on your lens. AE/AF-L Lock Mode: Determines whether the AEL/AFL button must be held down continually in order to lock your settings, or whether it locks after one press and stays until you press the button a second time. I set my X100F to On/Off Switch (S) to get the latter behavior, since I don’t like holding down the button in order to lock autofocus. Save Org Image: Off. When On, saves two copies of a photo when redeye reduction is enabled (one without the reduction applied). No other effect on your photos. Edit File Name: You can give your photos custom file names to start the image, such as X1F_0001 or FUJ_0001. I customize this for each camera I own in order to reduce duplicate file names from multiple cameras. The X100F lets you choose different file names for sRGB and Adobe RGB images. Copyright info: Fill in your information in case you lose your camera or it gets stolen. Connection Setting: Set your preferences for connecting the X100F to other devices, including a phone. Hopefully you have found all the recommended settings above to be useful for setting up your own Fuji X100F! If you have any questions about the information in this guide, feel free to ask below. Please keep in mind that most of these settings are personal preferences, and it is not a problem if your own preferences are different; after all, Fuji included all these options for a reason, and not everyone will set up their camera in the same way. As someone who never reads the manual…..i had never known what the red switch did! It puzzled me at first, too! It’s a good one to know, no doubt. It`s such a wonderful camera. Here is a very nice and not so obvious jpeg setting to try (make sure to switch the camera to “FINE”): Classic Chrome, DR Auto, Highlight Tone – 2, Shadow Tone -2, Color +3, Grain Weak. – Dynamic Range: DR does inded affect RAW photos. Every Fuji camera does. This function is quite helpful, too. 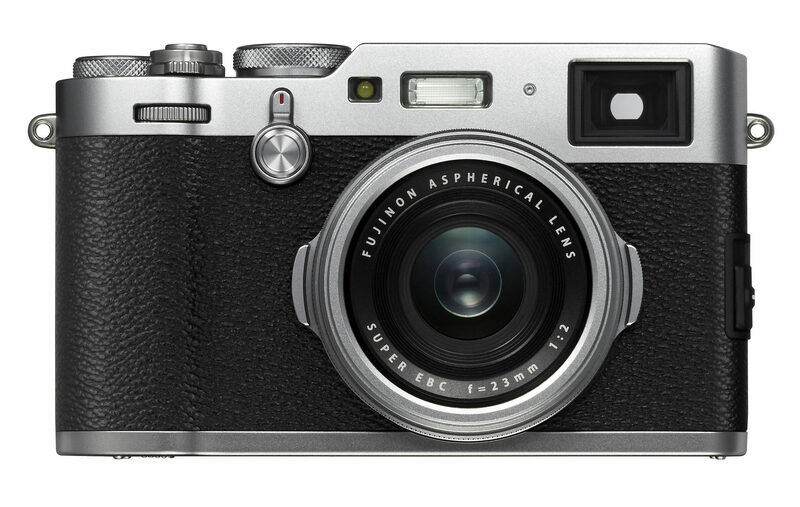 DPReview has dedicated a whole chapter of it in the review of the X100s from July 2013 (Page 15). – Noise Reduction: I think it does affect RAW photos, too. I don’t have a source, though. I could be wrong here. i may be crazy,the idea has been nagging me for some that perhaps the biggest favor we could do for given nlog. Very useful information and matches about 90% of my settings. Like very much my Fuji cameras (X100f and Xt-20) and prefer them when traveling light. However I am looking for the best processing program for RAF files (have Skylum, but this program needs further development. Can any one or the author of this article suggest a nice program to develop RAF files? Thank before hands for suggestion to all Fuji camera society. Dear Mr. Cox, as I am mostly RAW shutter need your recommendation for the best program that can nicely develop and convert RAW files. Thank you before hands for your suggestion. Thank you for your work! These recommendations are very helpful for every owner of this great camera. I also work with the X-Pro2, which has a similar menu to the X100F. Your suggestions should therefore be useful for all X-Pro2 owners! Cheers for this, really helpful. But for the life of me I can’t see the option for large indicators mode on the EVF/ OVF. Feel like I’m missing something, any ideas?